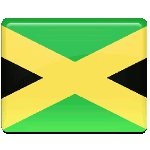 National Heroes' Day is observed in Jamaica on the third Monday in October. This day commemorates all national heroes and key figures from the history of Jamaica. National Heroes' Day was established to replace Queen Elizabeth's Birthday. The holiday takes origin in 1865, when Paul Bogle led a rebellion into the town of Morant Bay. The rebellion turned out to be a turning point in the history of Jamaica. The first national heroes were named in 1965, on the 100th anniversary of the rebellion, and the official commemorative ceremony took place in 1968. Over subsequent years more names were added to the official heroes' list and the day expanded into National Heritage Week. Monday of National Heroes' Day concludes the Week. A typical ceremony is held in National Heroes Park in Kingston, containing the statues devoted to key figures in Jamaican history. Prime Minister delivers a speech and special awards are held across the island to honor community figures, who serve the nation and contribute its wellbeing.